So you`re looking for the best Christmas gifts for women and unsure where to get started? Most probably because its the Christmas season and gift shopping are bound to knock you down when you struggle with “what” to buy for a woman. What would she love? To help you out a little, we have listed the best Christmas gifts for women below for you to choose from or take the inspiration from. Let’s start with the green, shall we? It’s not only environment-friendly but also serve as beautiful decoration in your home and office. What else? It is easy to manage and with no soil. 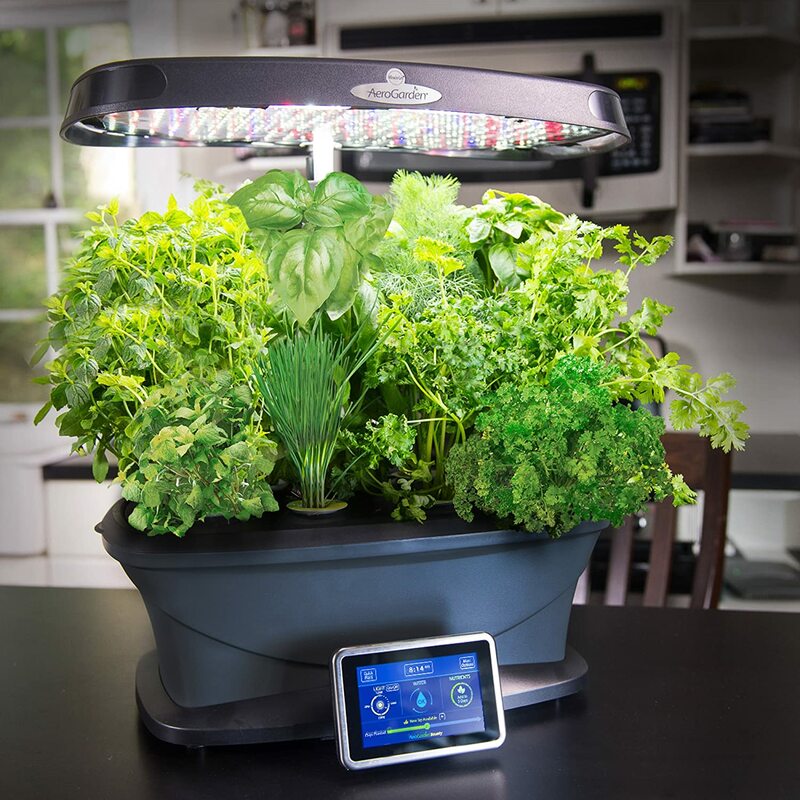 AeroGarden is a year-round garden developed into an indoor gardening system. It grows fresh herbs, fresh vegetables, flowers and much more. It grows 5 times faster than any average garden in the soil. A fully interactive, touch screen control panels keep you on time when and how to add water and other necessities of the plant. The high-performance LED lighting system automatically turns on and off. A list of Christmas presents for women will be incomplete without it. AeroGarden kit includes a 9-Pod Gourmet Herb Seed Kit. Within this comes: 2 Genovese Basil, Curly Parsley, Thai Basil, Italian Parsley, Chives Dill, Thyme, Mint and also 3 oz. of liquid plant food. While thinking about Christmas gifts for women, you can’t discount checking on a handbag for said women. This Women’s Fashion handbag brings you a fashion-forward and oversized envelope with a burst of colors to go along with different women outfits. It can easily carry an iPhone, the cosmetics, your keys, and any other essentials you may need while going out. The handbag is lined with a soft black fabric that keeps your things safely tucked in and keep them organized. There are one interior zipper pocket and another easy-access side pocket for easy access and organization and has a water-resistant lining. The color and design of the handbag stay vibrant stylish and never get boring. A good spa gift set almost never fails as it is women’s one of many friends. 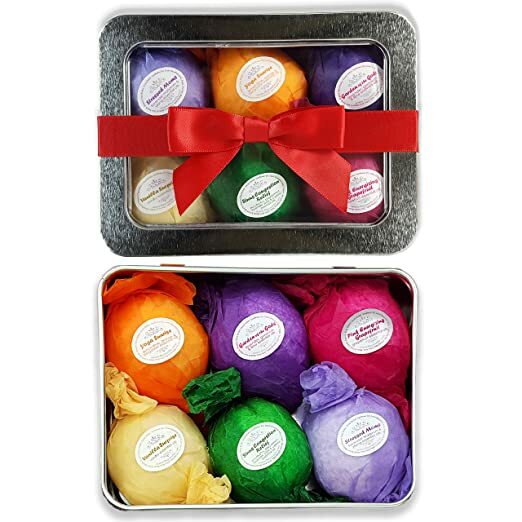 This sensuous bath bomb gift set contains moisturizing essential oil mixed Bath Bombs. Each bath bomb is individually wrapped and packed in an individual tin. The Bath Bombs leave the skin ultra-moisturized and leave no oil ring behind. They provide all the wonderful benefits of Organic Sunflower Oil, Cocoa Butter, and Organic Shea Butter. Check an earlier post on coconut oil benefits for your skin here. Another set of bath bomb gift pack. These bath bombs are designed and manufactured in the form of planets each representing different blends of ingredient and fragrance. This luxury gift set includes a body polish, a hydrating face mist, and a lip conditioner for pampering. A perfect gift set for those who travel frequently. It is made of using all natural ingredients. It is paraben free, sulfate free, and also cruelty-free. A great gift choice for a techy who also enjoys reading. Read, watch, play and listen to your favorite books, movies, games, and music respectively using the iPad. It is more advanced than its previous version. Enjoy the entertainment supplemented and made more desirable with a fast 1.3 GHz quad-core processor. The Fire HD 8 offers you 50% more RAM than the Fire 7 which gives you faster performance. A daily use relaxing foot massager to stimulate pressure points on your feet. Stimulating pressure points release hormones which will work to give your body a feeling of complete relaxation. This foot massaging product uses the Shiatsu concept of rotating nodes and offers a very invigorating foot massage, this to me is a must have when considering Christmas gifts for women. 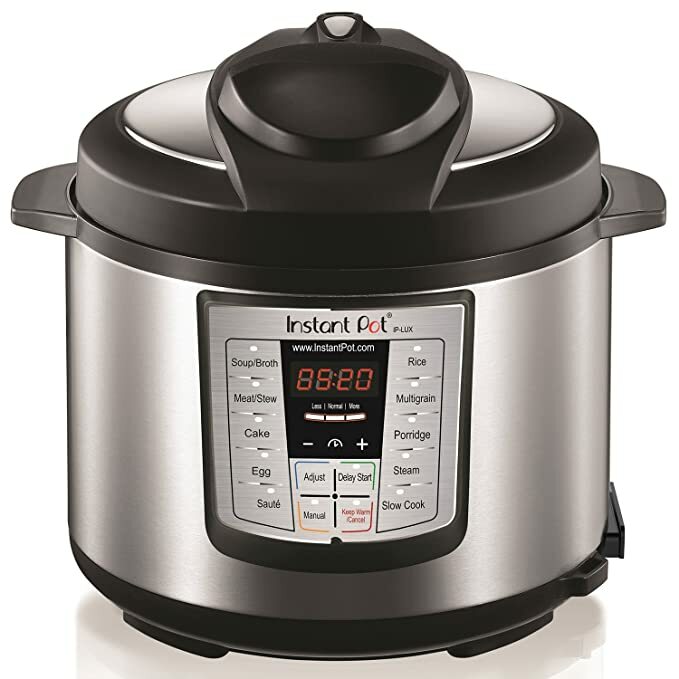 The Instant Pot works like a pressure cooker, a rice cooker, a slow cooker, yogurt maker, a steamer, and also warmer. One of the best selling product on Amazon. Safe, Convenient and Dependable, the Instant Pot speeds up the cooking by 2 to 6 times and requires 70% less energy. Instant Pot replaces 7 kitchen appliances. It has 14 built-in smart programs and a 24-hour timer which allows delayed cooking. It generates almost no noise and there are no leaks. It leaves no health concern and uses the latest technology which is embedded with a microprocessor. This is another of my favorite, what better than to relax at home and be yourself giving yourself a spa-like treatment? Get a Microdermabrasion machine and enjoy all year round spa treatment. Learn more about Microdermabrasion in an earlier post. Choosing Christmas gifts for women can be confusing finding a present for a woman of any age is not easy and these Christmas gift ideas women covered women of all ages. This Christmas, give her something which is unique and is useful that she`ll remember long after Christmas lights have gone out. The bath bomb kit sounds wonderful and I would love to have it! Glad you found something you like and best of all the bath bombs are quite affordable so you`ll get a really luxurious present at a reasonable price. Love the aero garden!! This is awesome!! Thank you! thanks Holly glad you found something you like, purchasing christmas gifts can be hard and you dont want to buy something they cant wait to return to the shops.